Chika, Boomboom, a wonderful Alphabet book. I also read: I Want My Hat Back and BillyBloo is Stuck in Goo. Then, the children made crafts and crazy things to take home. I was so happy to attend this charming event and meet book fans 4 to 10. COMING SOON – A brand new book about how birds and squirrels can get along with bright, beautiful paintings. Stay tuned for details. Book 3: Under the Sea with Otty and Shelly is now available for order (see Store page for details)! Dive under the sea and experience a whole new world with Otty and his special new friend, Shelly! And, treat yourself to a poem I penned about otters on the back cover. Otters also love to munch and snack. They enjoy cracking into their daily feast. And playing peak-a-boo with their paws. Forming rafts and pursuing adventures. Time to see an Otter with your own eyes. At the zoo, at the aquarium or on the bay. I know these amazing creatures will make your day! Hello darling readers! Guess what? 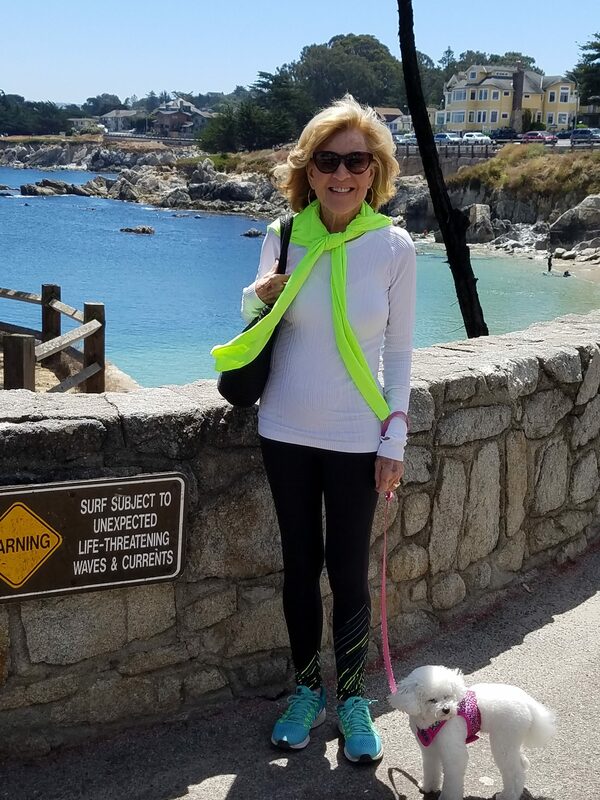 I’m back in California (with my sweet Gabby) where I plan to spend the summer watching and painting my very favorite friends – otters! Book 3 is already underway and I’m excited about its direction. Stay tuned! Spent some quality time at the Motherhood Center in Houston with owner Gabriella Gerhart. The Center is a wonderful baby gear boutique (complete with the Otter Chronicles) as well as a hub for educational classes and coaching services. 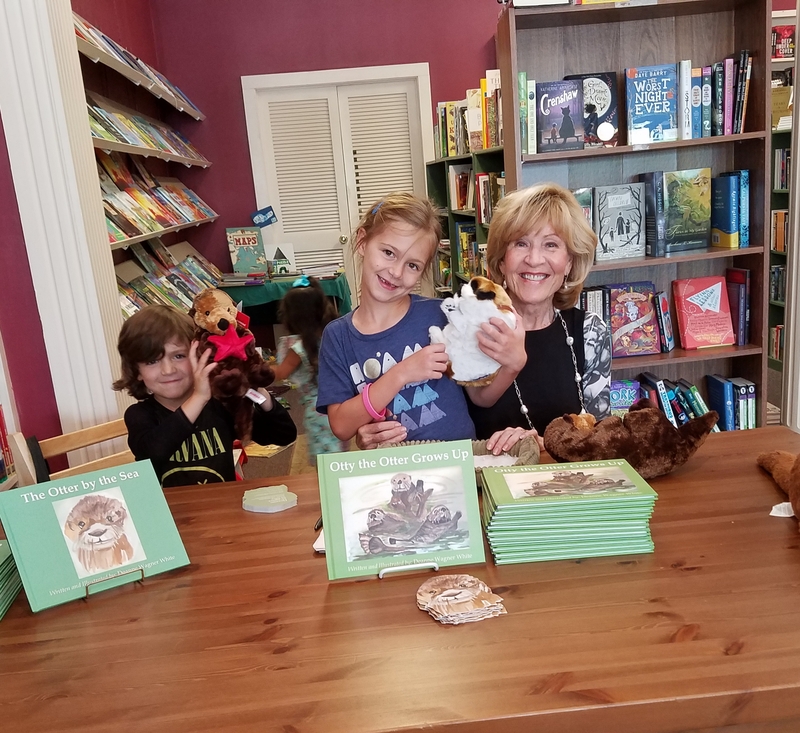 Thanks to River Oaks Bookstore for today’s fantastic book party! These folks sure do know how to treat authors and patrons. Such wonderful hospitality! 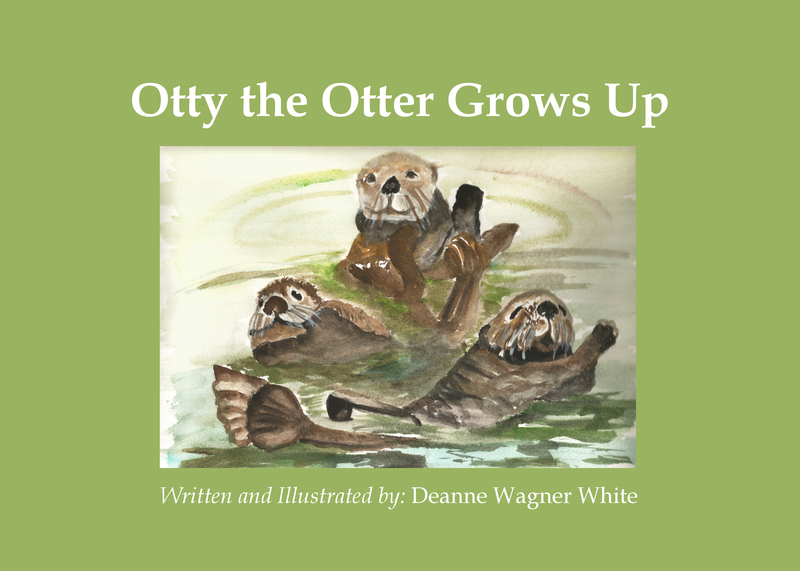 Plus, Otty the Otter Grows Up was received well by the fan boys and girls, hooray! Appreciate all who came out to support the launch of Book 2 in the Otter Chronicles. 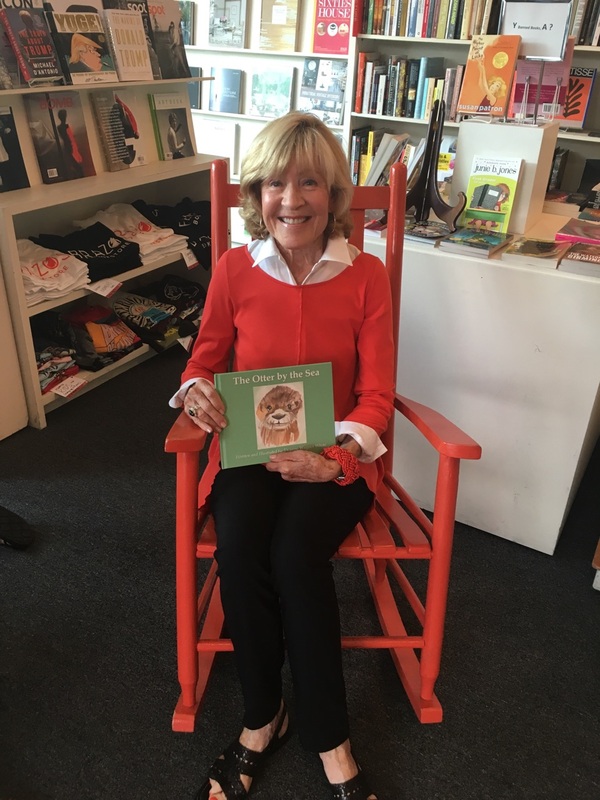 Before you leave for parts unknown this summer, round up your grandchildren, nieces, nephews, cousins and kiddos (ages 2 to 7) to come follow the adventures of Otty in Otter Chronicles Book 2: Otty the Otter Grows Up. There will be some Otter creatures and other treats. Hope to see you there. Happy summer reading! 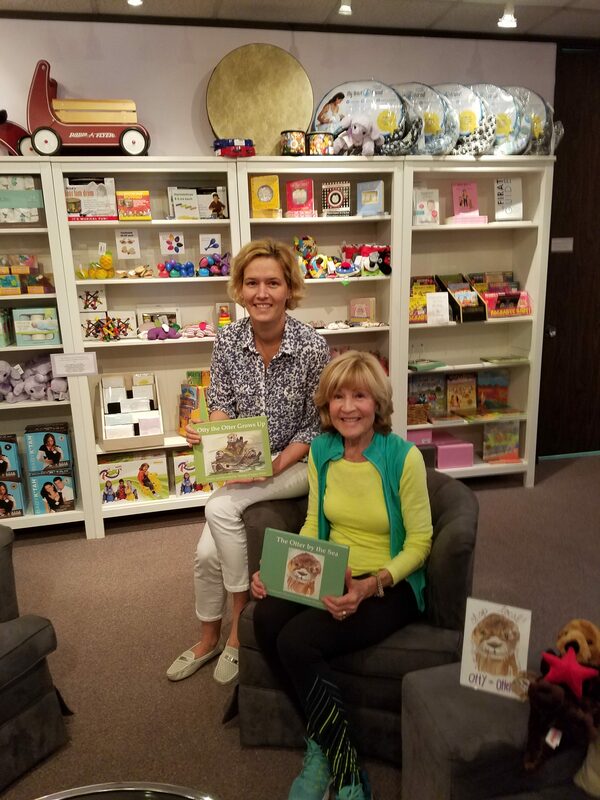 I just dropped a few otter books off at the Motherhood Center in Houston – such a lovely place established to help Mommies and Daddies get the most for their children and keep up with child raising trends. 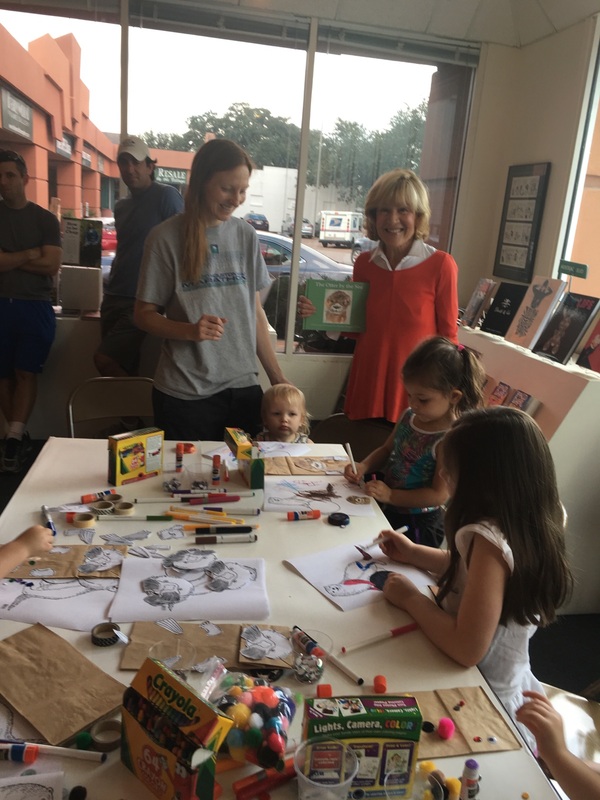 The books were requested by the center’s owner, Gabriella Gerhart, who became an instant fan after seeing my work on display at the Art & Wine event in January. If you’re ever searching for a great nanny, the Motherhood Center also offers nanny locator services! 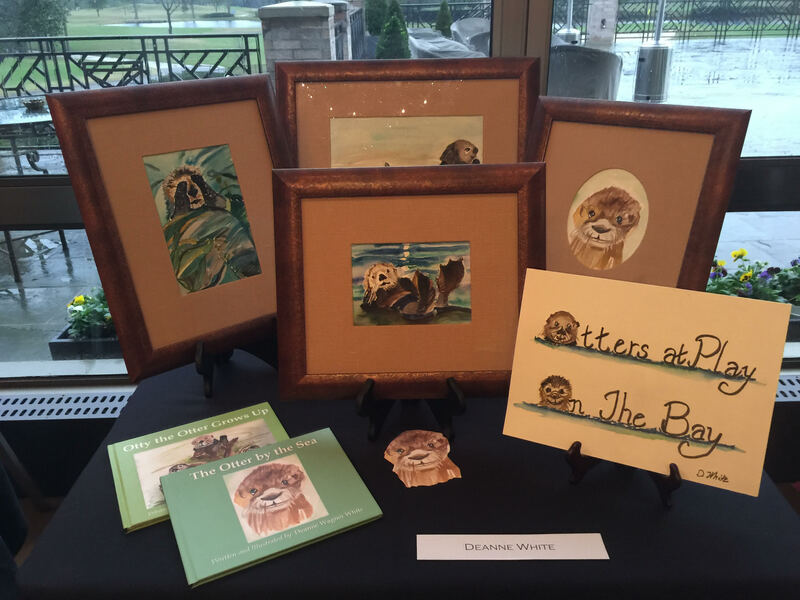 I’m happy to announce that a selection of my original otter paintings from the Otter Chronicles series will be presented at an Art & Wine event on January 20th. This wonderful event takes place at River Oaks Country Club from 5:30-7:30PM. Would love to see fellow otter and art lovers there! On behalf of Otty and his many friends, have a splendid holiday season! Love to all! Spread Literacy the Otter Way! Thanks to all who came out to the River Oaks Country Club Holiday Boutique. 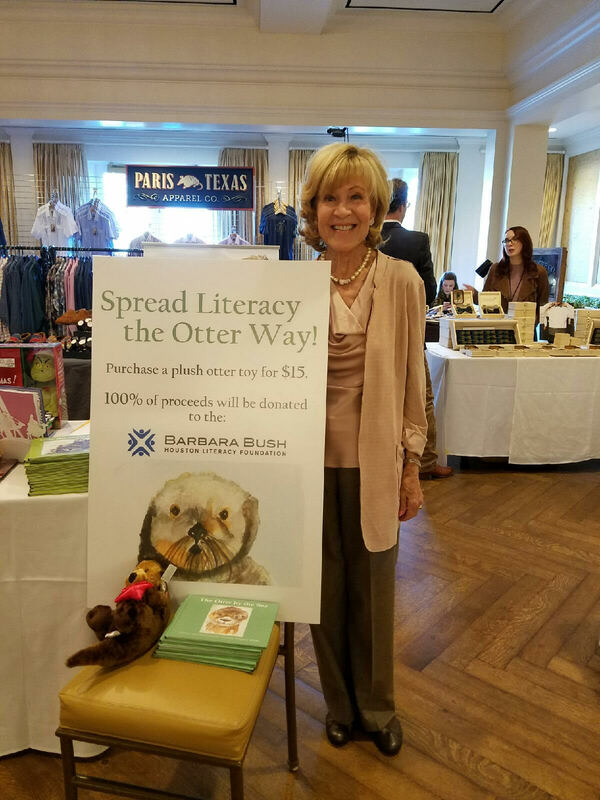 It was wonderful to meet new book fans and sell plush otters to support the Barbara Bush Literacy Foundation of Houston. Brand new and ready for you, Otty the Otter Grows Up is now available for order. If you’re looking for that perfect, kid-friendly holiday gift, why not bundle Book 1 & 2 together? Have an Otterly wonderful Christmas y’all! Thanks to Jana for the “awesome” call-out on the Houston Hip & Haute website! Dropped by the River Oaks Bookstore today and met two fellow writers. We purchased each others’ books and enjoyed a lovely chat. When asked to describe my recent experience at Brazos Bookstore, ‘delightful’ is the word that comes to mind. 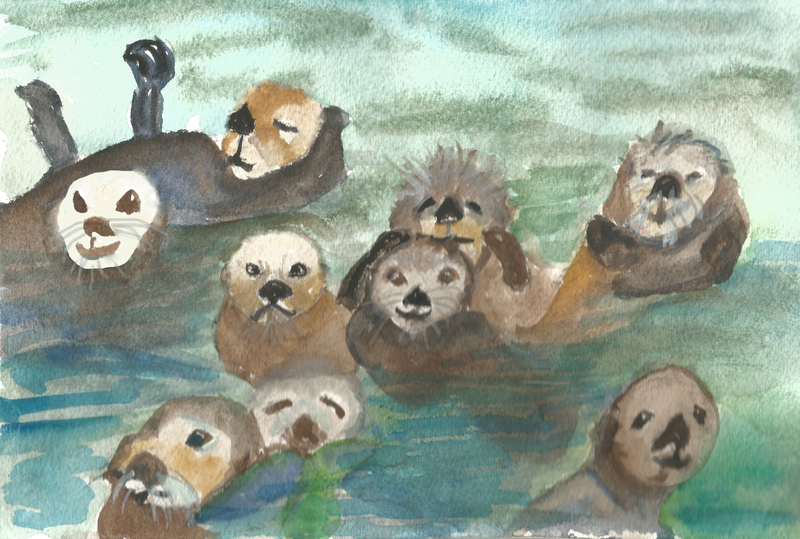 Not only did I have the chance to read Otty’s tale, I was also invited to an otter craft party! What fun! Thanks to the bookstore for making this occasion extra special! 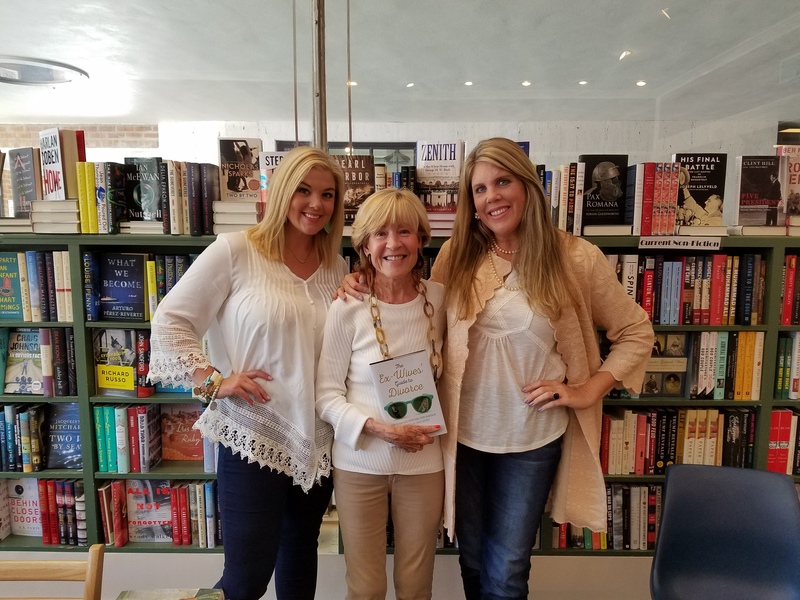 A huge thanks to all who attended my book signing party and reading at River Oaks Bookstore on September 15th. Hat’s off to the bookstore staff as well for hosting such a successful event. Otty’s fan base continues to grow! Copyright © 2019 Deanne Wagner White. All rights reserved.